If you are looking for a company review or rating, please head over to our insurance company directory and select your company. You will find the ratings and reviews on the company profile page. If you have an experience to share (good or bad), please share it with the readers at InsranceLevel.. Our rating and review system is simple yet thorough. You can elect to rate a company using a simple 1 to 10 scale along with a comment to share. 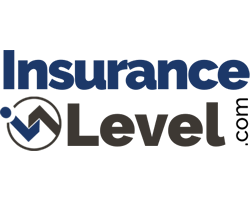 If you wish to add greater detail about an insurance company, we encourage you to rank the company using a multi-tiered rating system. It might take a couple of minutes, but this information could help another consumer make a choice about an insurance company. If your company is not listed, please select "other-not listed " and we will add the company as soon as your review is approved. Reviews are moderated within 24 hours (generally sooner). Are you looking to review your insurance agent rather than your insurance company? If so, locate your agent and submit your rating / reveiw. Are you looking to rate your insurance Agent or Broker? If so, use our insurance agent review form.